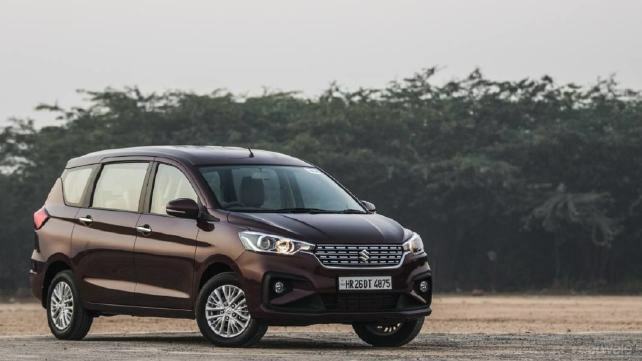 The new 2018 Maruti Suzuki Ertiga has generated quite a bit of interest since its launch last week. Out of the many questions the buyers asked us at Carwale, diesel-automatics have been on the top of the list. Sadly, Maruti Suzuki has said that the possibility of a diesel-automatic Ertiga is nil, at least for now. Maruti Suzuki does have the automatic option for the 1.3-litre Multijet engine that the Ertiga runs in the form of the five-speed automated-manual gearbox known as Auto Gear Shift in Maruti terminology. But as of now at least, Maruti Suzuki has restricted the use of this setup for cars under four metres in length, which is why even the Ciaz or the S-Cross do not have this option. Maruti Suzuki does not have a torque-converter setup to be mated to the 1.3-litre turbo-diesel as yet. Which means that there is no possibility of the Ertiga being offered with a diesel-automatic any time soon. This continues to contribute to the dearth of diesel automatics in urban compact people movers in the Indian market which means that though there is a demand, it is not enough to be economically feasible for carmakers. ← Mahindra Alturas G4: What else can you buy?